Here is another moment of shame. I consider myself a Jimmy Stewart fan. I love old movies. I have a degree in film. 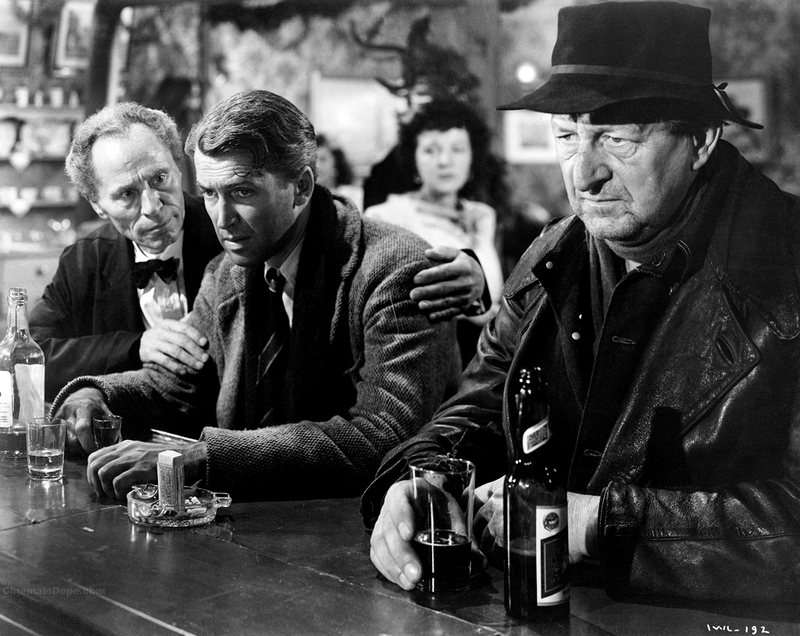 And, until tonight, I had never seen Frank Capra’s famous IT’S A WONDERFUL LIFE. I watched IT’S A WONDERFUL LIFE (1946) on 12.20.09. It was (I hate to admit) my first viewing of the film. Hard to believe Jimmy Stewart was 38 when this was released. He does an incredible job selling youth in the opening segments (though he plays more like mid to late 20s). Ditto Donna Reed. Their work together is stunning. Stewart goes places in this role that his more comedic turns sometime do not allow. It’s crazy to me, furthermore, that he played the old wily Professor in ROPE just a couple years later. Marked down only because I found the fantasy sequence a little tedious. Maybe I’m a slave to the more traditional three-act structure, and I am being narrow-minded. But I felt like the fantasy was the only time the audience was not being given credit. We get it, move forward and let us see what happens! ~ by johnlink00 on December 20, 2009.